The first thing that is noticeable is the new case work design. Audiolab have produced a blasted aluminium finish that looks great in the flesh, with more rounded and softer looking lines compared to previous ranges. The standby switches are very nice to use as are the selector controls, you can tell that this is a new animal from the ground up yet still maintaining the classic Audiolab look, so new products could easily sit in an older Audiolab system and not look out of place. 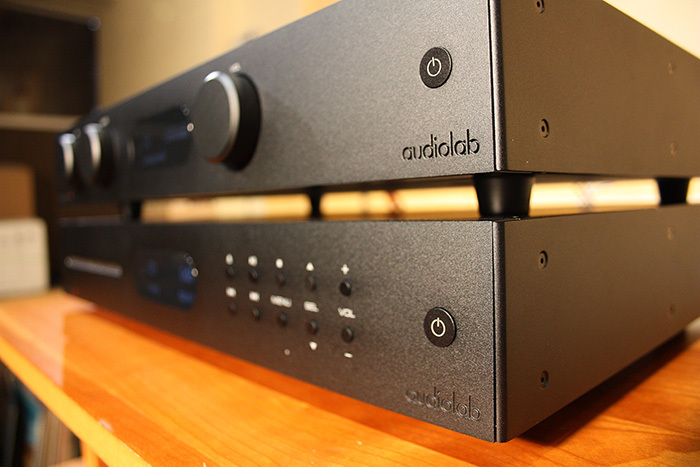 Connectivity is also as expected from Audiolab, plenty of inputs on both the CD player and amplifier. 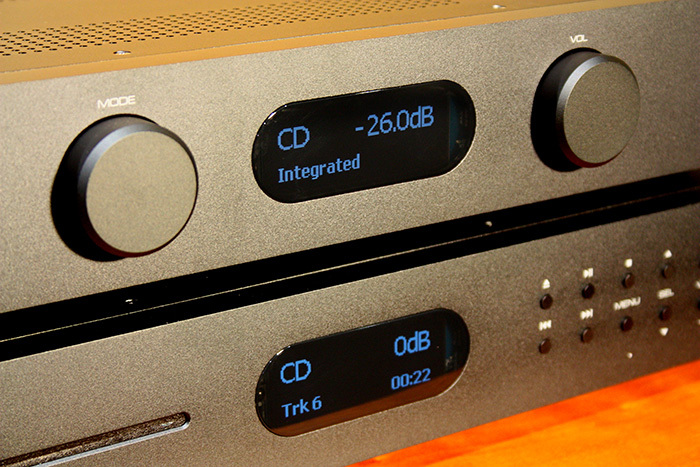 As with previous model CDs there are plenty of inputs to make use of the internal DAC. Again, the improvement of the internal DAC means that it is compatible with much higher resolution sources including DSD. Whilst it's great having all these options to connect external equipment, I always want a CD player to perform primarily as just that - a CD player! So, first of all I set it up with a relatively inexpensive pair of interconnects and used the PMC Twenty 21 speakers as they are one of my favourites. Straight out of the box and stone cold it sounded fantastic. I used a track by Jewel, a folk/country artist with a very distinctive and emotional voice, tremendous vocal detail and presence with a very impressive sound stage. A simple recording with acoustic guitar and a cello was filling the room. Another very nice thing is the new display panel, very clear and not so bright it can scar your retina like some displays! A very sleek looking set up.